The uniform shop is open every Thursday from 2.30 - 3.30, selling new and second hand uniforms or purchase your uniforms online. Safety of students – intruders into the school grounds can be easily identified of all students wear the required school uniform. On excursions students in uniform are easily identifiable and more effectively and safely supervised. 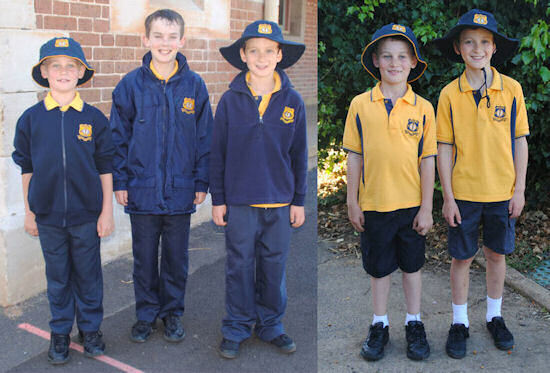 To promote a positive image to our community- the school uniform demonstrates both the pride in our school and the respect we would like to foster in the students for both the school and the community. To prevent competition – in clothing between students and provide a low cost clothing option. The Student Assistance Scheme will provide assistance for families experiencing financial difficulties to purchase uniforms. Confidential applications are made through the Principal. 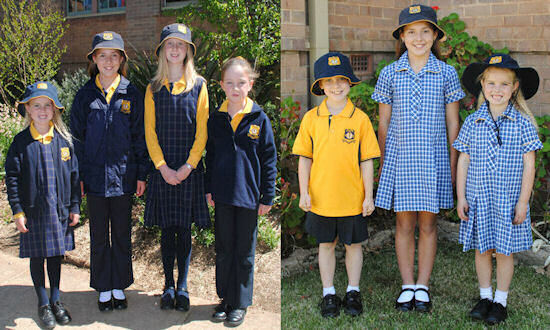 As a general guide the Summer uniform is to be worn during the School Terms 1 and 4 and the Winter uniform is to be worn School Terms 2 and 3. Sports uniforms are to be worn only on designated sport days. This includes track pants during winter. The Mudgee Public School logo is the property of the Department of Education and Communities and is under copyright. It can only be placed on clothing that is part of the uniform code of Mudgee Public School.